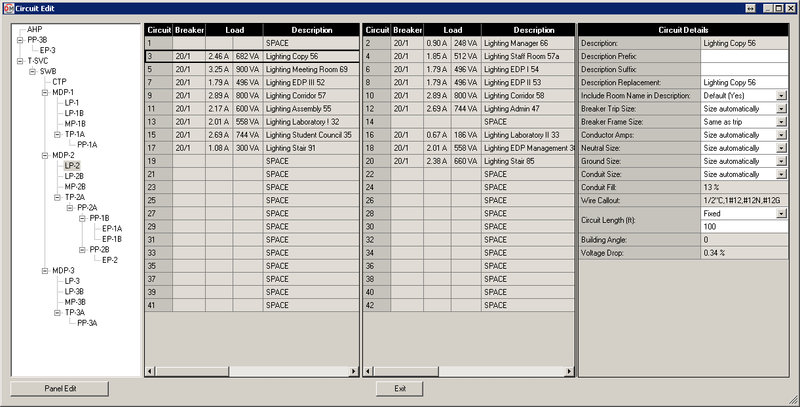 Design Master Electrical RT is an add-in for Revit that sizes branch circuit breakers and wires. Branch circuit breakers are sized automatically based upon the load connected to the circuit. The wire size for the branch circuit is based upon the calculated breaker size. Individual circuit breakers can be resized as needed when the calculated value is not appropriate. Individual wire sizes can be resized to account for voltage drop and other design situations. FLA, MCA, and MOCP can be specified on motors. These values are used to calculate the breaker and conductor sizes for the motor circuits.